The story of Jan Lewan, a polka musician who ran a Ponzi scheme out of his knick-knack shop in Pensylvania. Criminal fraud and white color crime are soOoOoOoOo hilarious. At least that's what the makers of the Netflix original "The Polka King" hope you'll believe, though it does sort of help that the criminal in question is a polka musician. 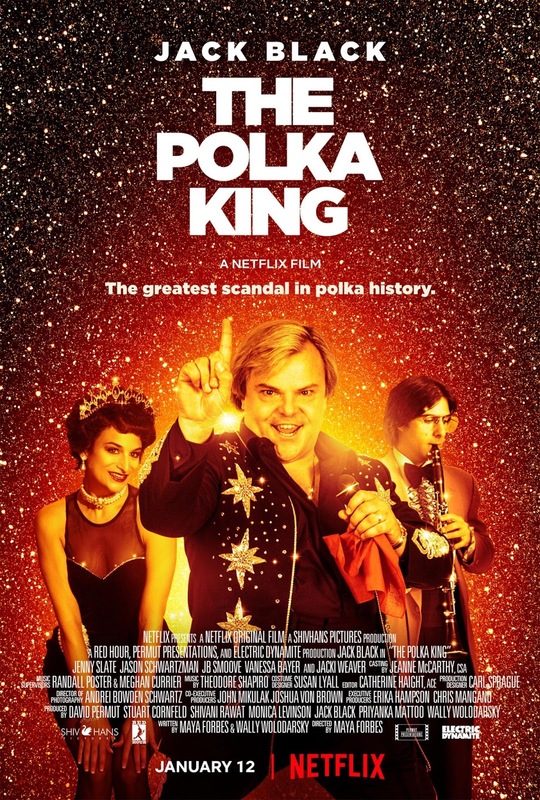 "The Polka King" is written and directed by Maya Forbes and Wallace Wolodarsky. Forbes is known for directing "Infinitely Polar Bear" and Wolodarsky is known for directing "Sorority Boys." This is the first time the two have worked together as co-directors on a project, though they have worked together as writers numerous times in the past on films like "A Dog's Purpose," and "Monsters vs. Aliens." The film stars Jack Black as Jan Lewan, a Pennsylvania polka sensation who immigrated to the United States from Poland. 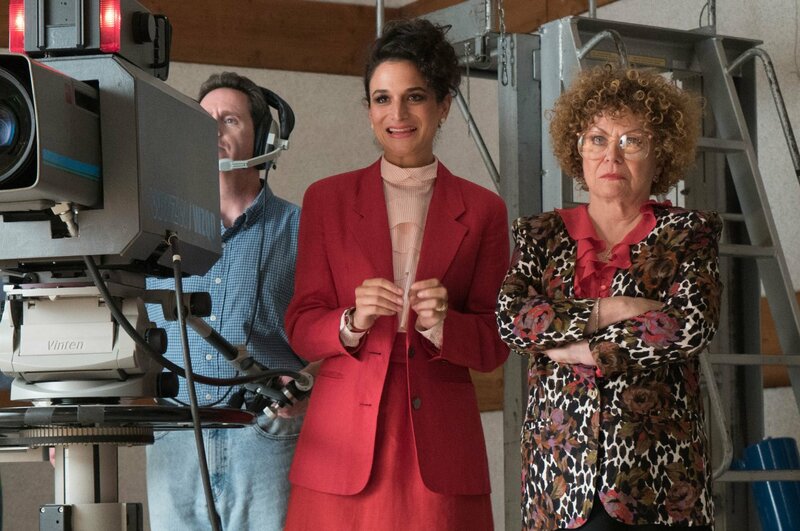 Joining him are Jenny Slate as Jan's wife Marla, Jacki Weaver as Jan's mother-in-law Barb, and Jason Schwartzman as his bandmate Mickey Pizzazz. Jan has a dream of making it huge as a globally recognized polka musician (if such a thing even exists) but is struggling to get by and can't even pay his bills. He and his wife own a knick-knack shop that is also failing. To make money, Jan starts taking "investments," promising his investors a guaranteed 13% return on whatever money they invest in the Jan Lewan brand. People give Jan money thinking that they are investing in a business venture. In actuality, he is running a massive Ponzi scheme that helps him live large, tour with his band and run his shop, none of which turn a profit. A good alternate title for "The Polka King" could be "The Wolf of W. Broad Street." Unlike Scorsese's biting dark comedy, this film doesn't quite have the social commentary, nor does it have a scathing indictment of the actions of its protagonist. One-time Grammy award nominee Jan Lewan is treated like a loveable goof who simply had too much self-confidence and ambition when really, he was a duplicitous, smarmy schemer. The script plays him as a naive Polish immigrant who doesn't have any idea of how many things, including businesses, actually work. The film often acts like Jan isn't intentionally scamming people, but rather is just an innocent guy who truly believes people's investments will pay off. 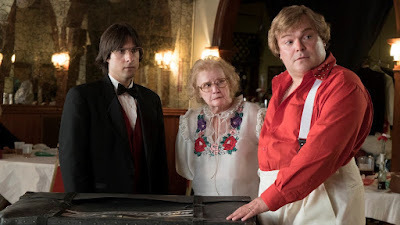 Most the humor comes from the fact Jan is a polka musician as the movie pokes fun at the very idea that there could ever be such a thing as a "polka star" or that anyone would willingly listen to polka music. Weird Al says hello. 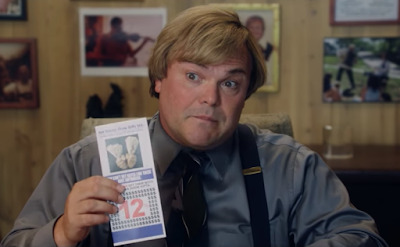 Beyond that, the rest of the humor consists of Jack Black being Jack Black but with a bad Polish accent. He sings, he dances around, he makes funny faces, you know, the typical Jack Black fare. Jacki Weaver gets to be the stereotypical hard-nosed, disapproving mother-in-law who believes her son-in-law is a worthless loser and that allowing him to pursue his dream will only lead to ruin. In this case, she is actually right. 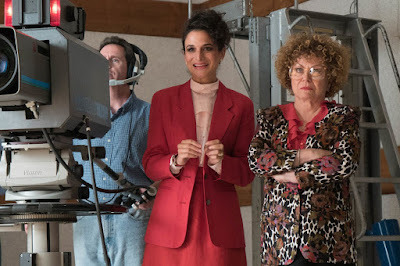 Jenny Slate plays the supportive wife who grows increasingly jealous of her husband's perceived success, which may lead to being his final downfall. Then there's Jason Schwartzman, who once again plays to type with his deadpan style of sarcastic humor and wry delivery. He needed to be in more of the movie. 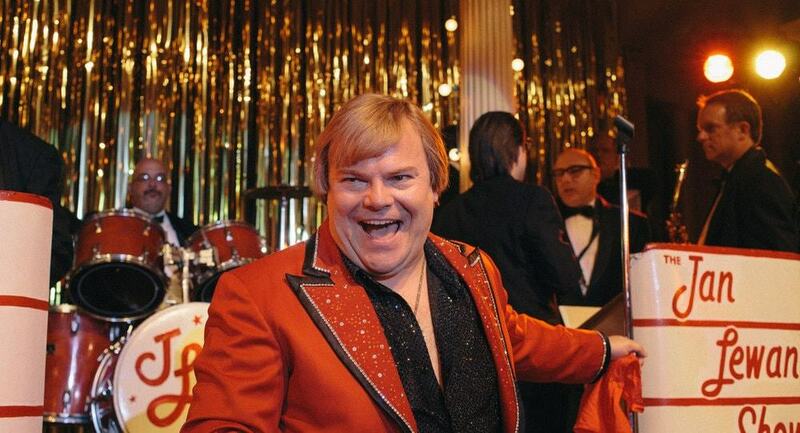 There are some things to like about "The Polka King." It does produce an occasional laugh. The story, on the other hand, isn't that gripping. The characters aren't as compelling as they could have been. We don't care for how the story paints Jan Lewan as a loveable dork instead of the cunning polka fraudster he really was. This is a mixed bag for us.